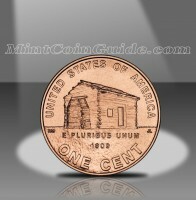 The Lincoln Birthplace Cent marks the first major design change to the cent coin in fifty years. It was also the first of four new cent designs to be issued in 2009. 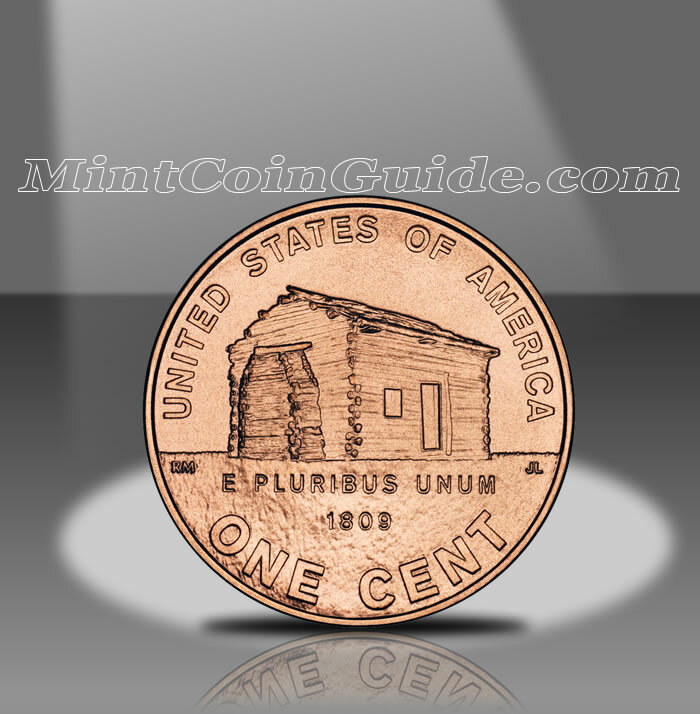 The Birthplace Cent replaced the long-standing Lincoln Memorial Cent which was issued from 1959-2008. That cent itself replaced another Lincoln related coin, the Wheat Ears Cent which appeared from 1909-1958. Shown on the reverse of this new coin is a log cabin representing the humble beginnings of Abraham Lincoln who was born in Kentucky. These four coins were followed in 2010 by another Lincoln Cent with a Union Shield on the reverse representing Lincoln’s preservation of the Union. The US Mint issued the Lincoln Birthplace Cent on February 12, 2009 with a ceremony held near Hodgenville, Kentucky, the birthplace of Lincoln. The US Mint released the Birthplace Cent into circulation through the normal Federal Reserve channels for the face value of the coin – $.01. Circulation quality Birthplace Cents were struck at the US Mint’s facility in Denver and the US Mint’s facility in Philadelphia. Proof quality versions were struck at the US Mint’s facility in San Francisco. Victor David Brenner originally designed the portrait of Abraham Lincoln found on the obverse (heads side) of the coin for the Cent in 1909. It has appeared on the Cent ever since. The reverse (tails side) of the Birthplace Cent features an image of a log cabin. It represents the humble beginnings of the 16th President of the United States and was designed by Richard Masters and sculpted by Jim Licaretz. **The US Mint also struck proof versions of the coin to the exact composition as the original 1909 Lincoln Cents – 95% copper, 3% zinc & 2% tin with a weight of 3.11 grams. According to the US Mint a total of 634,800,000 of the Lincoln Birthplace Cents were struck – 284,400,000 at the US Mint’s facility in Philadelphia and 350,400,000 at the US Mint’s facility in Denver.